Thank you for helping to transport food from food donors to food assistance organizations! Below is everything you need to know to make sure you handle and transport food safely. Watch these short, informative food safety videos for food runners. 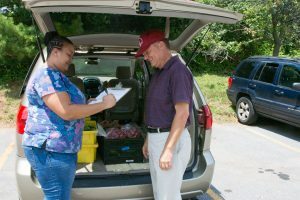 All CFR participants must follow county approved Food Safety Guidelines for safe handling, transportation and distribution of rescued food, which are available for downloading and printing. You’ll need to read these Guidelines and watch the videos above before taking the food safety quiz when you sign up in ChowMatch. How do you know if food is safe to eat, even if the label is past the current date or a can is slightly dented? How do you properly store, thaw, cook, and freeze different types of foods? Read CFR’s Food Safety Brochure to find out, available as downloadable PDFs in these languages: English, French, Korean, Mandarin, Russian, Spanish, and Vietnamese. If you’d like printed copies of English or and Spanish language brochures, please contact the CFR Director, cheryl@communityfoodrescue.org. Safe delivery of donated food requires responsible hygiene, timely delivery and clear communication. 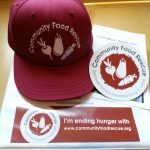 If when picking up food from a food donor, you suspect that the food is not safe, accept the food and alert the recipient organization and the CFR administrator– Cheryl@communityfoodrescue.org so they can follow up with the donor. If you have any questions that aren’t answered below, please contact: Jenna Umbriac, Director of Nutrition Programs, at Manna Food Center; jenna@mannafood.org. If you’re sick, do not recover food. Wear, long pants, clean clothes, and closed-toed non-slip shoes. Do not wear excessive jewelry (watch and wedding band are ok). Pull long hair up and/or wear a hat/hairnet. Wear a waterproof bandage if you have a cut. Wash hands and exposed arms up to your elbows with warm water and soap before handling food. Wash hands again if you do any of the following: use the restroom, smoke, touch your hair, face, clothes or body, handle raw meat or eggs, eat or drink or use cleaning chemicals. Do not eat, drink, smoke or chew gum while on a food run. Protect food from contamination from sources such as chemicals, staples, insects, water drippage, dirty equipment, etc. Keep your vehicle clean of excessive dirt, insects, animals, and any other potential contaminants while transporting food. 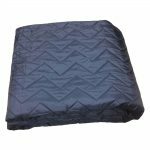 It is a good idea to have a clean sheet, tarp or carry-all container that you lay in trunk or back seat before transporting any donated food. Use safe, nonabsorbent, leak proof pans or reusable containers. Never put pans containing food on the ground. 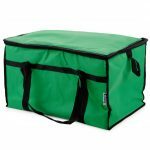 Use thermal bags or coolers (with ice packs for cold foods) to maintain hot or cold temperature of food; do not mix hot and cold food in the same carrier. Perishable food, requires time-temperature control to prevent the growth of harmful bacteria and keep it safe for consumption. 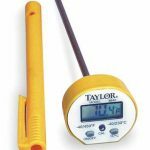 Check temperature when receiving food. Look at the thermometer on the refrigerator or freezer or ask the donor to read the temperature. If there is no thermometer, test the food using a clean and sanitized thermometer (from the donor). If food is just barely inside Food Temperature Danger Zone (between 40°F and 140°F), ask the donor to verify that food has not been in Danger Zone for longer than a few minutes. When temperature-controlled transport is available, foods should be held below 40 ̊F or above 140 ̊ while in transport to the venue. Hot food must be received and held at a temperature of 140°F or above. Hot food out of temperature controls for any amount of time under 4 hours must be reheated to 165 ̊F before service. Discard food if it has been below 140˚F for more than 4 hours. Cold food must be received and held at a temperature of 40°F or below. 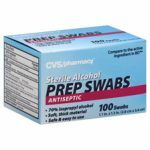 Thermometer and alcohol swabs (for time and temperature control for safety (TCS) foods. 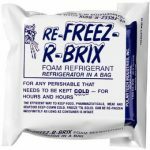 Insulated bag, thermal blanket, or freezer brix (when food runs are more than one hour).